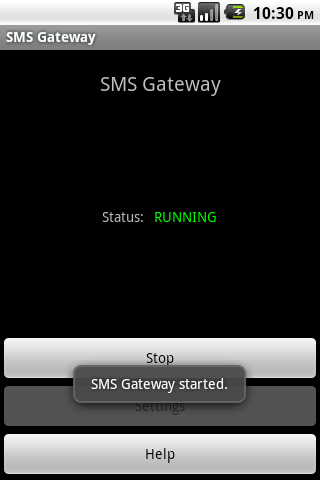 This application turns your android phone into powerful SMS gateway. 1. Periodically checks for e-mails via POP3 and send them via SMS. 2. Send SMS by HTTP GET request on its internal webserver. 3. Forward received SMS to desired e-mail via SMTP. 4. Forward received SMS by calling remote webserver via HTTP GET. Added SSL and TLS support for SMTP. Added SSL support for POP3. Added posibility to have user parameters in forwarding URL setting.